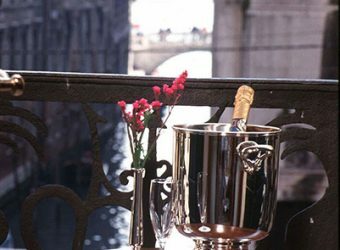 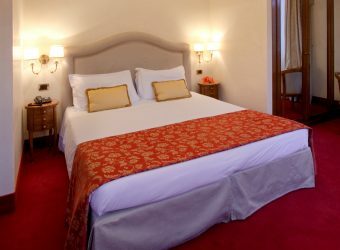 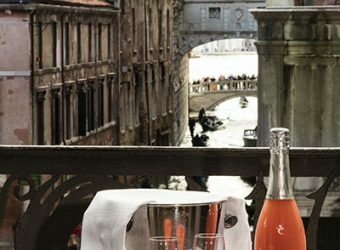 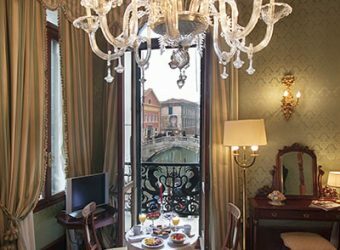 The Hotel has 3 exclusive Junior Suites with a breathtaking view on the canal and the Bridge of Sighs. 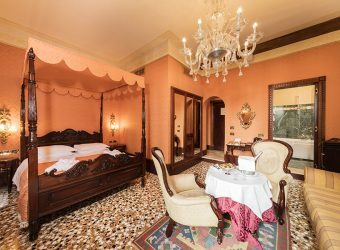 Two of these rooms are enriched by charming details: romantic 4 poster bed and a little balcony from which you can admire the wonderful view. 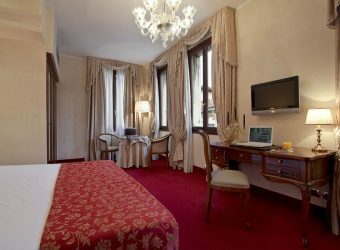 The third room, located on third floor has a more classical style but it’s characterized by the incomparable panorama. 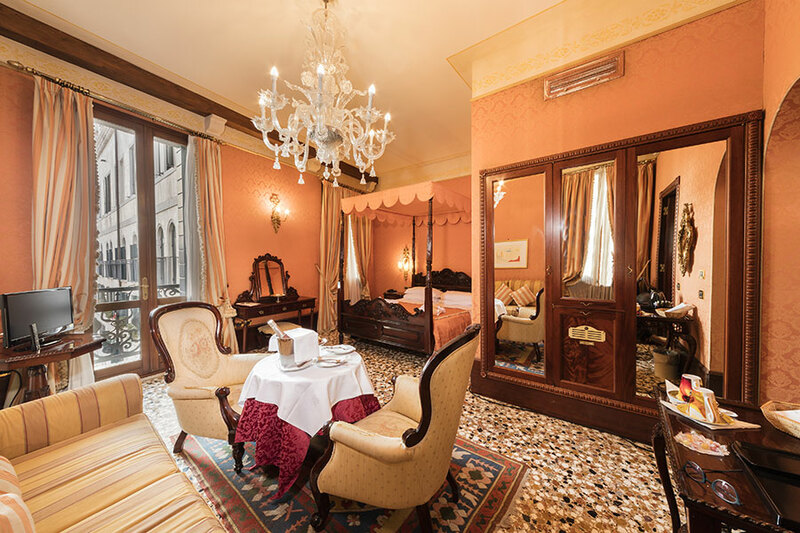 The stylized bathrooms incorporate unique design features, the appealing practical Italian marble and Jacuzzi or shower with Turkish bath. 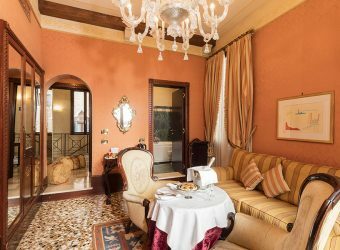 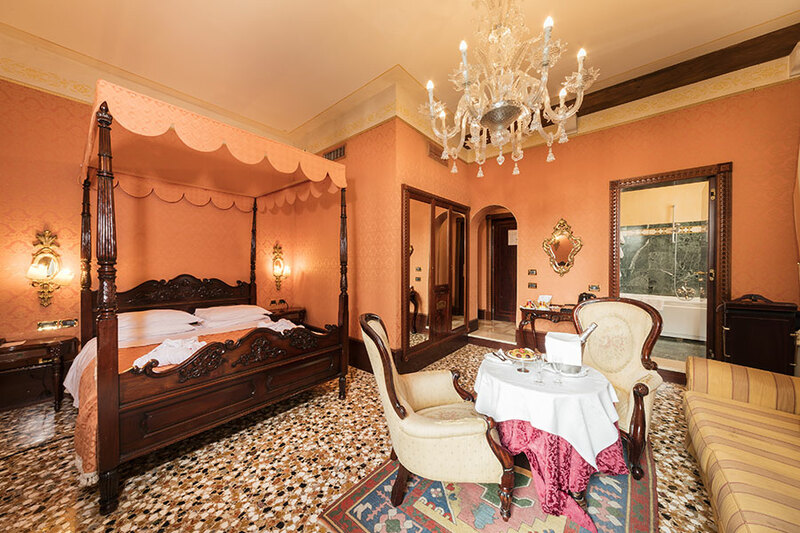 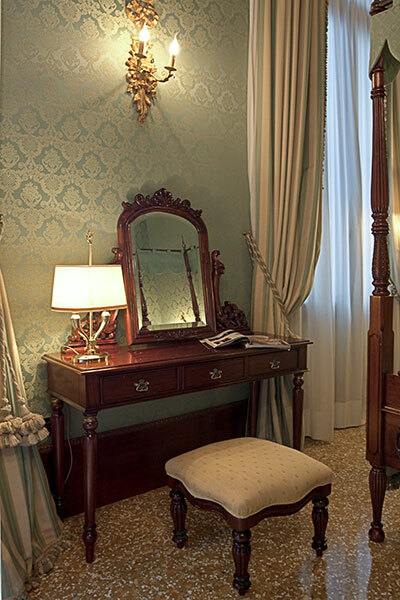 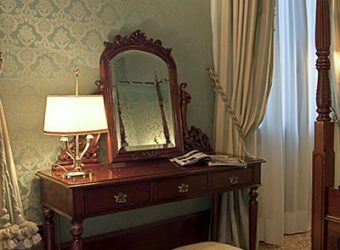 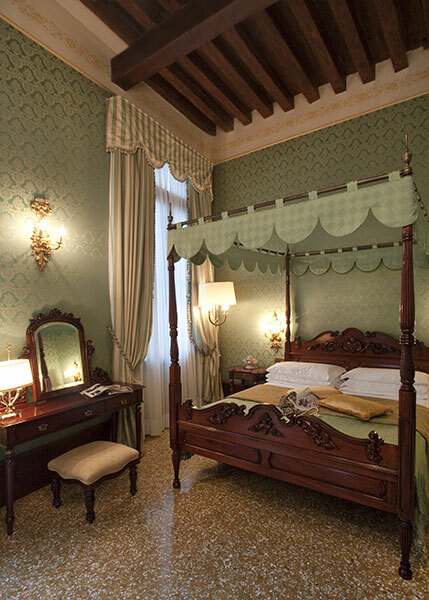 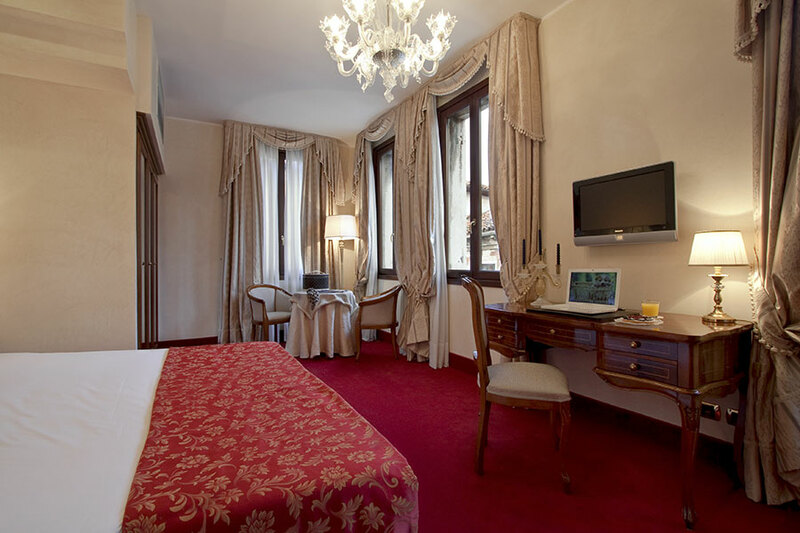 Almost a blast from the past … .. the warm colors of a typical Venetian style will welcome in this luxury Junior Suite: original floor of the historic Palace, romantic 4-poster bed and chandelier in authentic Murano glass, to recall the opulence of the Serenissima. 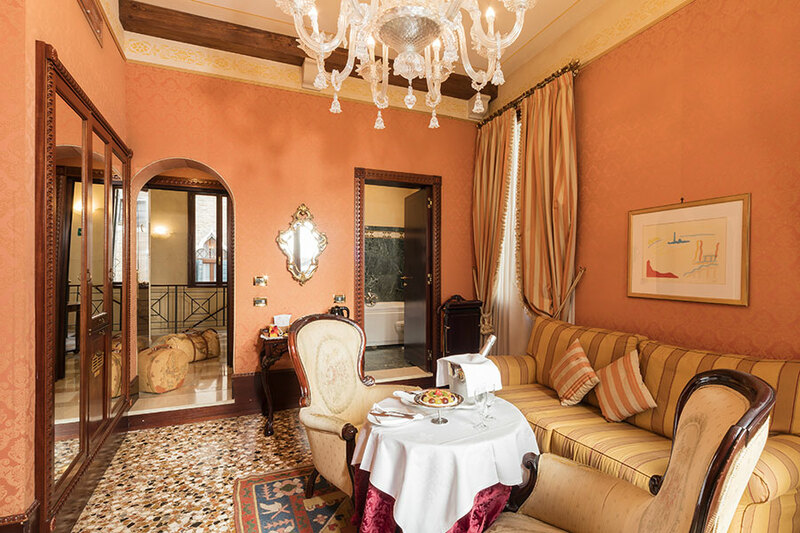 The bathroom in elegant fine marble features a bath tub hydro massage, perfect for relaxing after a busy day.Admiring the view of the canal and the Bridge of Sighs from the balcony will be a unique experience. 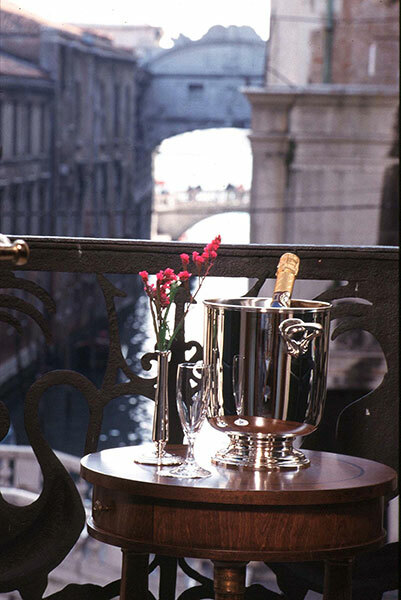 The view on the Bridge of Sighs which you can enjoy from the balcony will strike you at first glance and will literally take your breath away! 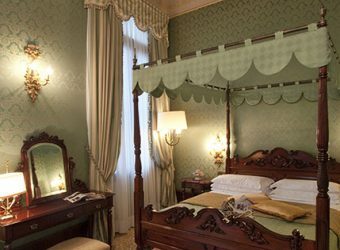 It’s the exclusivity of this wonderful Junior Suite in Venetian style, where the original use of silk, velvet and brocade, is emphasizing the flowing romantic shapes and the strong character of fine furniture. 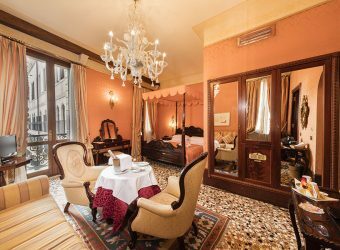 Characteristic elements of decor are the four poster bed, the chandelier in authentic Murano glass and bathroom with Jacuzzi. 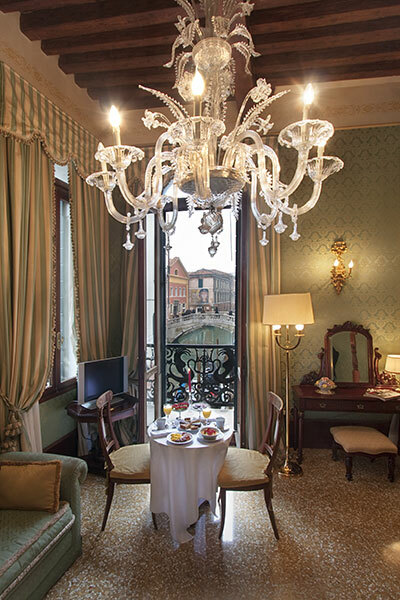 Every morning our rich breakfast will be served in the room and can be enjoyed while admiring the spectacular scenery. 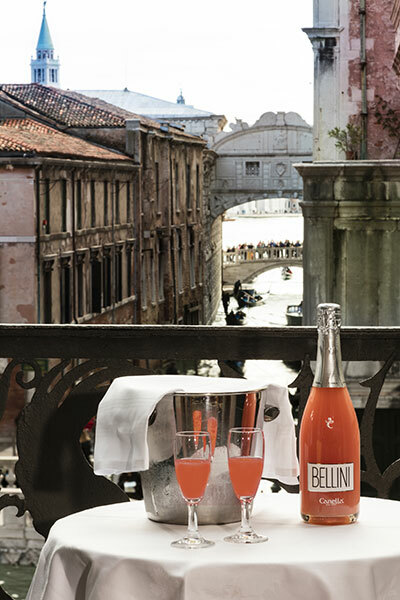 Enjoying a drink on the balcony is a privilege that you cannot give up.